Beachfront means.... on the beach and direct access to the beach. 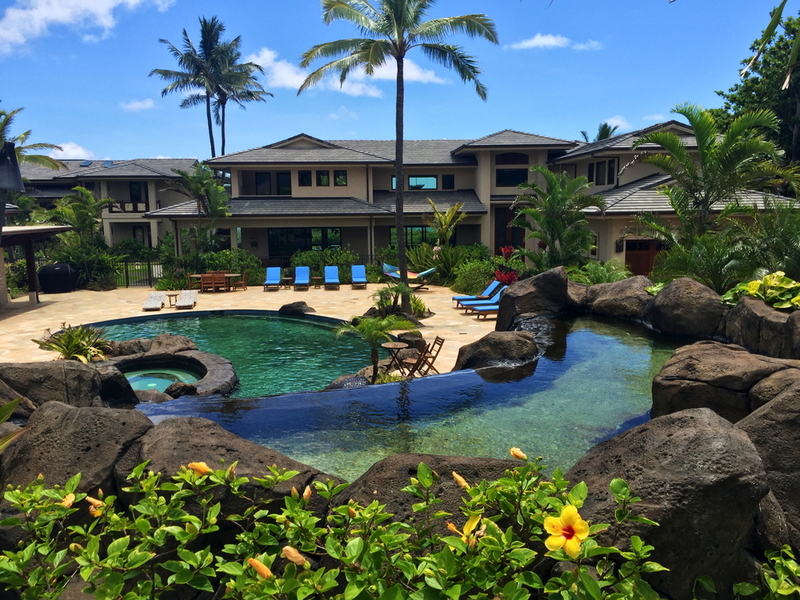 The Mele Komo Estate is comprised of two homes on two acres of private gated beachfront splendor. Each with 6 bedrooms, 6.5 bathrooms, and kitchens that most chefs dream of preparing meals in. The spacious kitchen has extensive granite counters for group dining prep, a Wolf gas range, rich mahogany wood cabinets, and plentiful storage throughout. 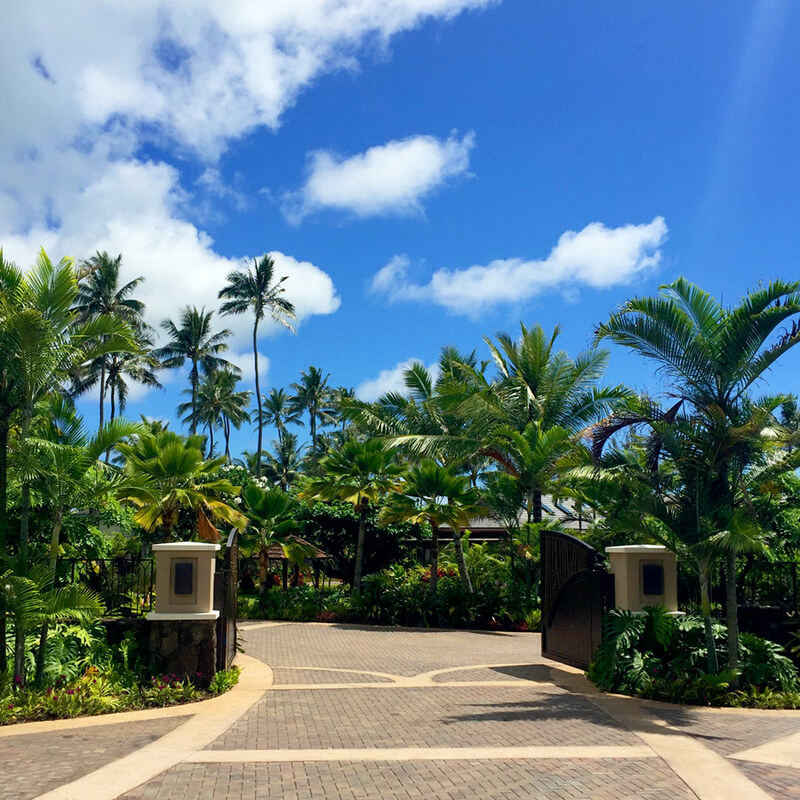 With 7500 square feet of living space, this estate lives amidst a tropical paradise with towering palm trees and vibrantly-hued tropical flowers and foliage. Mele Komo is exquisitely decorated in an aesthetically pleasing combination of elegantly crafted Balinese rattans, Chinese and Japanese antiques and beautiful tropical art pieces. 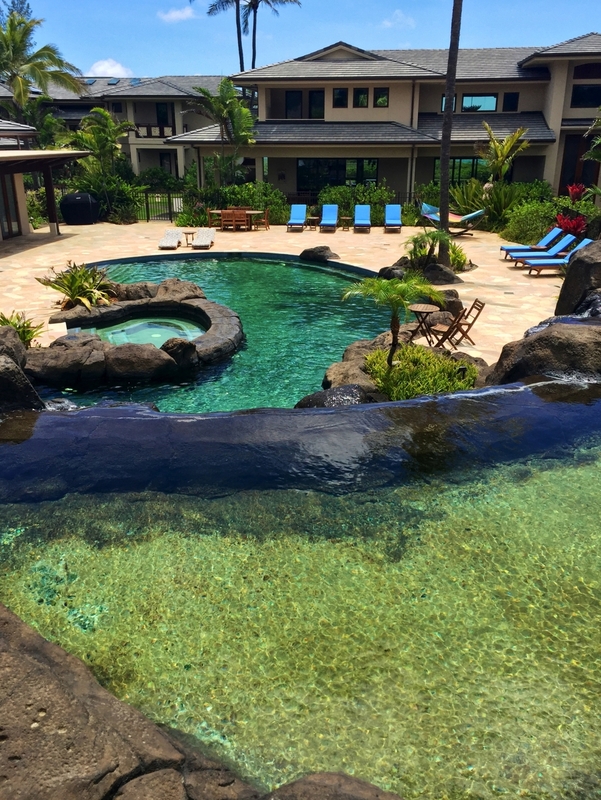 The Pool You Won't Want To Leave! 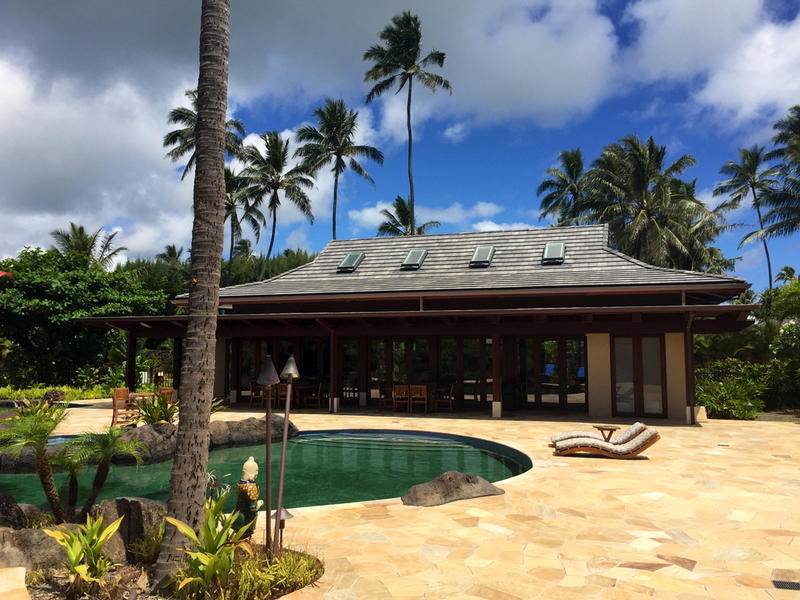 In the center of the estate is the 2000 square foot, two-story mahogany Pool Cabana complete with a full kitchen, washer/dryer, bathroom with shower, living room space with large screen TV, and high speed wireless internet. 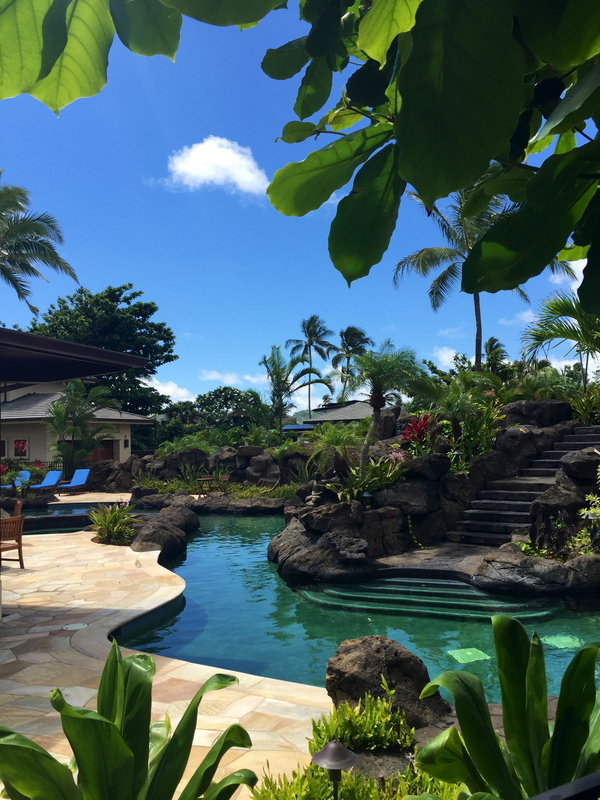 Within your own private resort-like compound is a 96,000 gallon lava rock swimming pool with cascading waterfall and grotto, water slide, and hot tub. Private and secure, this exclusive oasis has to be experienced to be believed. 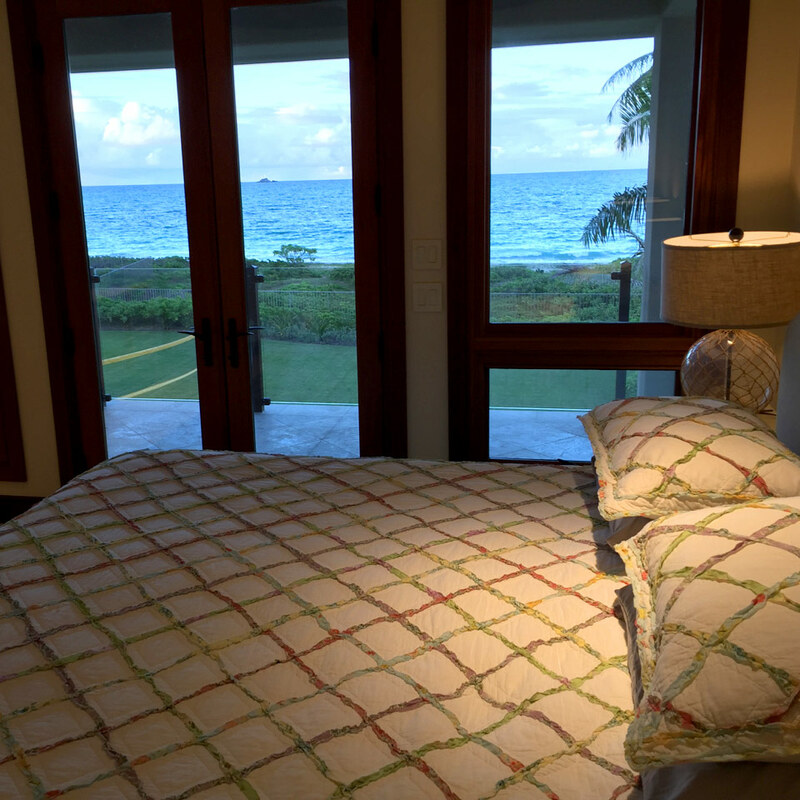 This very special enclave is located on the beach in Kailua just 15 miles east of Honolulu. 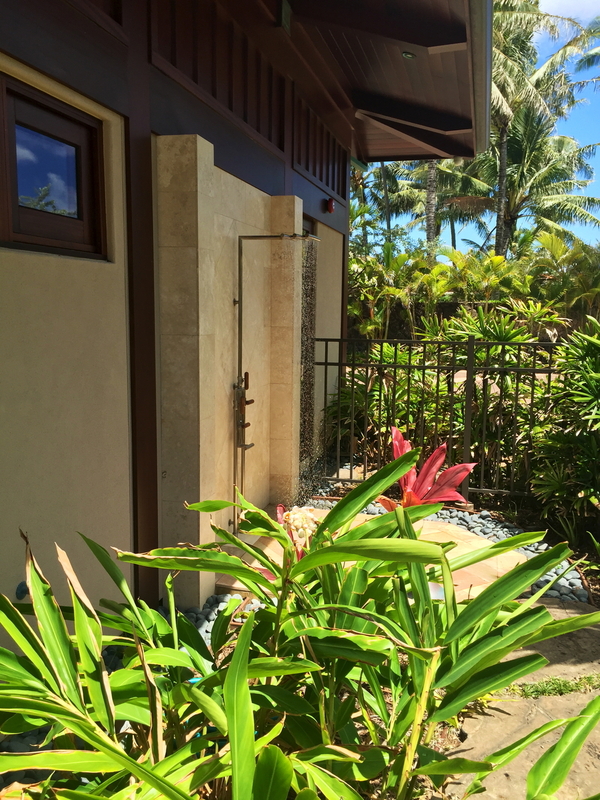 The Kailua-Lanikai community has a small town ambience with grocery stores, small local shops, casual restaurants, several golf courses, and tennis courts. The house sits on a world famous golden sand beach without rocks. 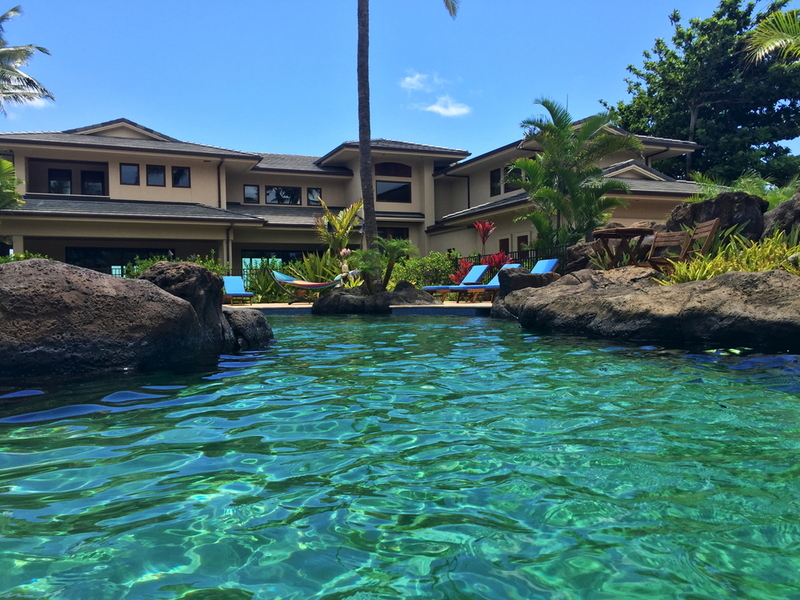 Just 30 minutes away to the west is Honolulu. 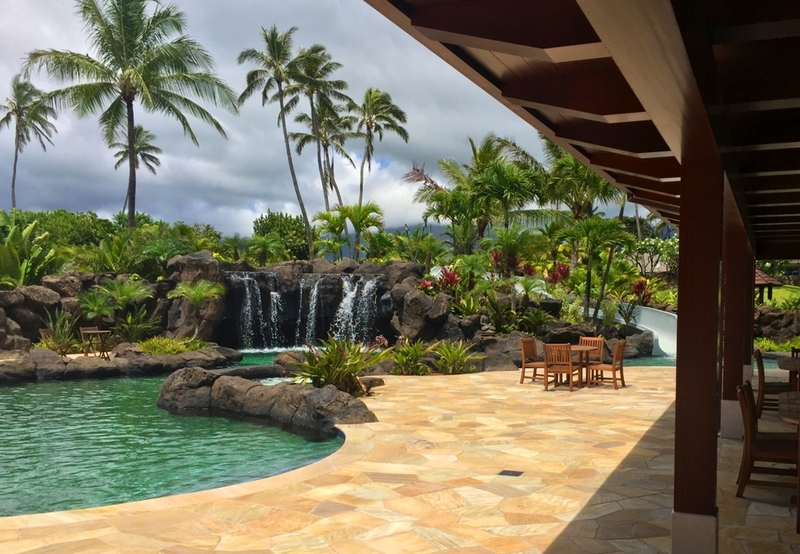 Drive on an elevated super highway through the Hawaiian mountains to find Pearl Harbor, an international airport, famous Waikiki Beach, historic buildings, beachfront restaurants, art museums, zoo, parks, Chinatown, world class shopping, and concert halls. A people only seeking nature’s best. where the sands of time have blessed.